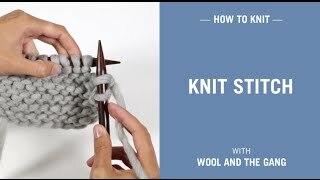 If you know how to do the knit stitch, now's the time to learn how to purl. The purl stitch looks like a little bump, it's really a back to front knit stitch. When learning the purl stitch, we recommend keeping track of the stitches on your needle, just so that you don't accidentally increase or decrease. 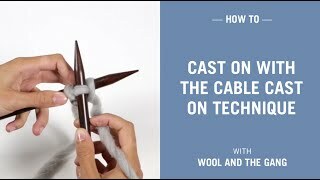 With purl stitch, the ball end of your yarn is always at the front of your work. Insert the tip of your right needle through the stitch on the left needle from right to left and bottom to top. Wrap the ball end of your yarn around the back of the right needle. With the tip of the right needle pass the yarn under the left needle and catch the loop on the right needle. 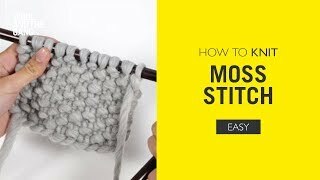 Slide the stitch off the left needle and onto the right needle. Continue the purl stitch until all of the stitches are on the right needle.